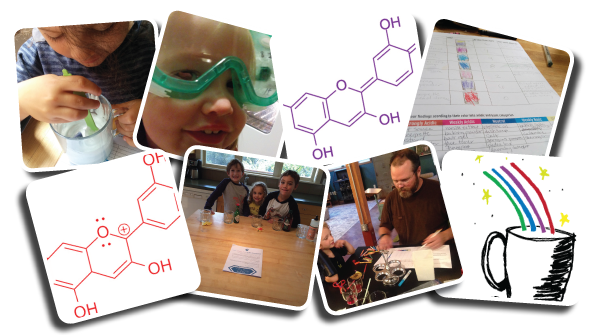 Get started on this fun and engaging kids chemistry experiment. 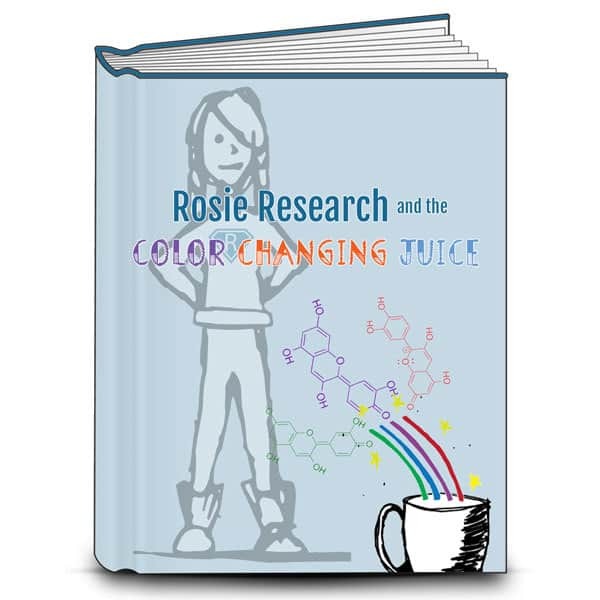 Can you discover what Rosie added to her drink to change the color? 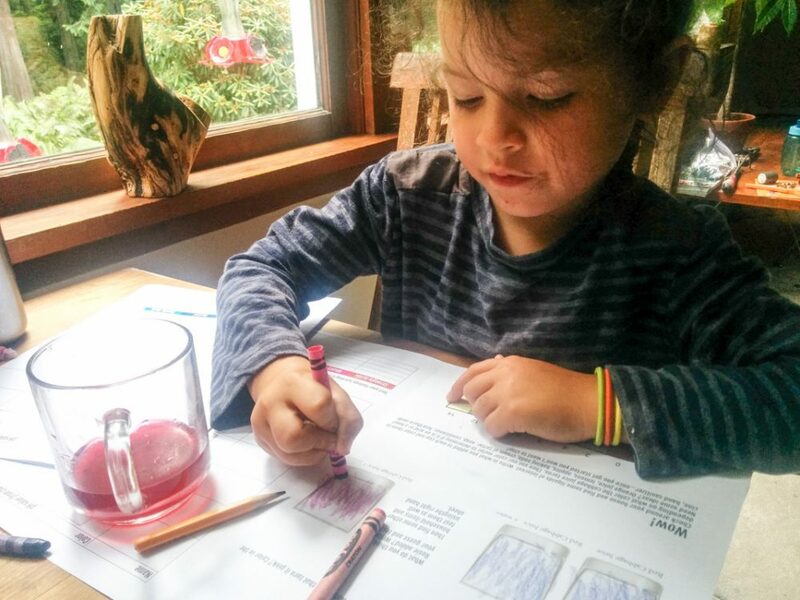 Find out how pH concentration can change molecules while you sit at your kitchen table! You’ll be floored with how engaged your kids are with our unique mystery based home science projects that bring a whole new meaning to inquiry based science. 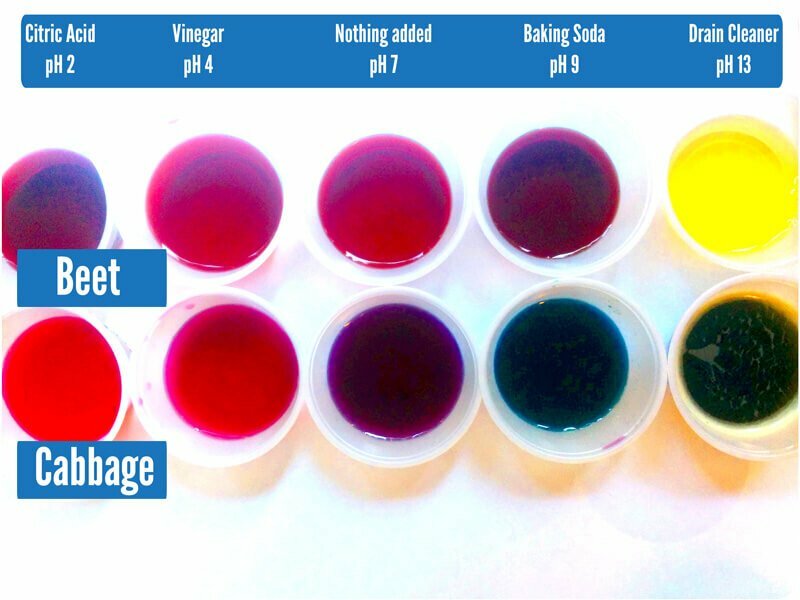 There is one lab book for our Color Changing Juice lab and lots of add on activities to help scale it to your child’s age and interest! Tabloid versions of the labs are available if you want to print the labs on 11×17 paper to make each lab into it’s own folder. We also have half page sized labs to print on 8.5×11 and fold into a booklet – a format my six year old enjoyed more than the full sized format! Flavored Flavinoids: Check out how other items in your grocery stroe do as pH indicators! Secret letters: Write a letter in lemon juice and let it dry, then lightly paint over it with cabbage juice to reveal it’s contents! Flavinoid Indicators: Investigate a range of pH’s for a select few flavinoids and see which one tells you the pH the best! There are written parent teacher guides that will give you some quick tips and tricks to troubleshoot issues you might run into, tell you the broad takeaway from the lab, help you brainstorm questions to ask and give you some additional resources!Check out the Parent/Teacher video of Dr. Erica doing the lab here! This Rosie Lab is so much fun that my five year old threw a tantrum when we had to put it away after our first hour! 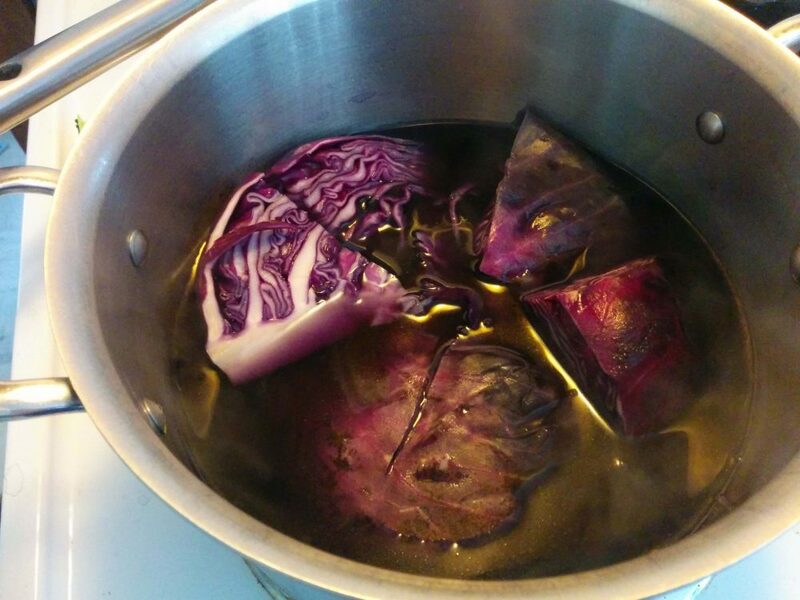 Ever since, she has begged to do it again every time she sees the purple cabbage juice out, and really, who can blame her? Learning about pH concentration and chemistry has never been so much fun! The Rosie Lab uses cabbage, a natural pH indicator, to see how molecules change in acidic or basic solutions and is an easy, fun and incredibly engaging chemistry lab for homeschoolers, unschoolers or just parents looking for a little after school science fun! Our unique science curriculum changes the way we see and do science, and changes kids into eager scientists. You get to see what happens when you add baking soda to vinegar, or citric acid to Tums. The changes in colors are uber cool, and so are the bubbles! Seriously, one of the best cool science projects at home around! Watch the Parent Teacher Video – I walk you through the entire lab. In the video I show you all the things you and your kids will get to do together. Hopefully, I will also dispel and fears you may have about doing a science lab with your kids (because I know many people think science is too hard). Download the parent teacher’s guides, sourcing guides, scaling guide and extra sample pages here. Sit down with your kids and have a ton of fun! Really, this part is important! Our kids need us to enjoy science with them, the idea of setting them up and then walking away isn’t how we teach reading, and it shouldn’t be how we teach science!